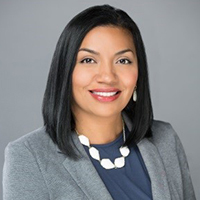 My name is Monica Andry, and I’m excited to be the 2019 Chair of the Austin Young Chamber Foundation (AYCF). Since joining the Foundation in 2016, I’ve been honored to participate in AYCF’s commitment to providing opportunities for Austin Young Chamber members to give back. The generosity of our members has impacted our community and supported many of the local causes that we love. Together with you, I hope to continue to find opportunities for our community to thrive and I look forward to continuing our great work. We know that before young adults can even begin to think about development opportunities like the Austin Young Chamber (AYC), they need to have secure jobs and clear paths to success. We want this to be a reality for everyone in our region so we’re excited to bring the AYC community together to support organizations and programs working toward this end. If you are working with, or know of a non-profit organization doing great work in the focus areas above, we want to hear from you! To apply for grant funding and partner opportunities, please complete our Community Grant Request Form. Inquiries are reviewed by our steering committee on a quarterly basis. On behalf of the Austin Young Chamber Foundation, we thank you for your continued support. We hope you’ll continue along this journey with us as we model the power of collective giving and foster a young professional workforce that pays it forward. Save the Date: Meet, Greet, and Give with Austin Young Chamber Board Members & Austin Young Chamber Foundation Committee Members for Amplify Austin on 02/28 at TLC Austin. RSVP Here.